When researching Transition or talking about it with educators, there are 2 main topics that come up which are Postsecondary Goals and Transition Assessments. In this discussion, we'll be focusing on assessments. Let's start by discussing what the law requires regarding these assessments, which is, “The school must develop appropriate and measurable postsecondary goals based on age appropriate Transition assessments.” The law also requires that these assessments include, “…the student's preferences, strengths, interests, and needs as related to training, education, employment, and where appropriate – independent living skills.” Next, let's quickly discuss 3 types of assessments that can be used to assess students' needs and meet compliance requirements. There are three main types of assessments that play an important role in the Transition process which include: (1) formal assessments, (2) informal assessments, and (3) casual assessments. Some educators and companies lead people to believe that all assessments need to be “normed and standardized”. While we believe that formal assessments play an important role in helping students, we also encourage using the full spectrum of assessments available, so educators can assess the specific needs of their students. Here is a summary of the 3 types of assessments. These assessments are “normed and standardized” which means that a students' scores are compared to the average scores of other students from across the nation in their grade or age level. For example, if 100 students were take an assessment – 50% would score…(fill in the blank). Of course, these also take into account the standard error of measurement. 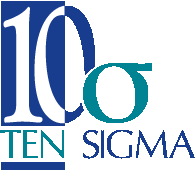 Examples of formal assessments include the Transition Planning Inventory from Pro Ed., the Enderly-Severson Transition Assessment, or a variety of assessments from Brigance. Compared to formal assessments, there are many more informal assessments available for educators and usually at a lower cost. Educators find informal assessments particularly useful in identifying a student's specific strengths and needs. For example, lets take a student who qualifies for Special Education services in reading comprehension. The teacher will need to identify specific student needs in reading comprehension like whether the student has trouble with literal or figurative language. A teacher could use an informal assessment like asking questions about passages of text to determine a student's needs. 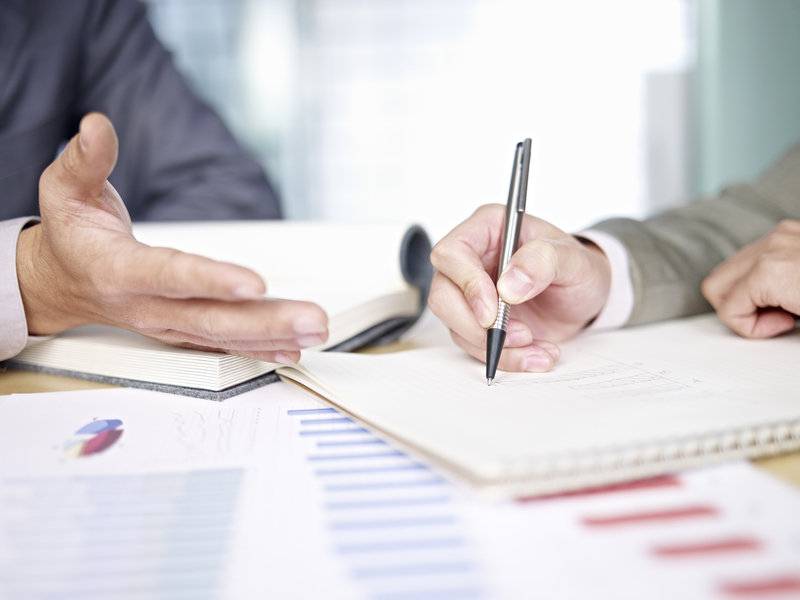 Some examples of informal assessments include interest inventories, interviews, and record reviews. 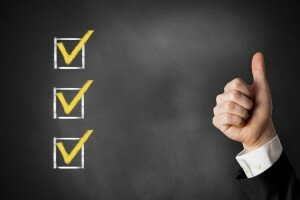 These assessments occur naturally throughout the course of the year. Examples of these assessments include things like observation of behaviors and attitudes, discussions with the student, and activities that allow a student to demonstrate and/or explain their strengths, needs, and interests. While casual assessments should never be used as a sole determiner of success, they do play an important role in the success of the student. Each of these assessments have specific uses in the education process. Formal assessments are a great tool for assessing academic needs while informal and casual assessments do a great job of helping identify student strengths, needs, and interests. When it comes to teaching important Transition skills, informal and casual assessments are used more frequently by teachers. Also, these types of assessments assist in identifying and communicating student needs and progress to the IEP team. 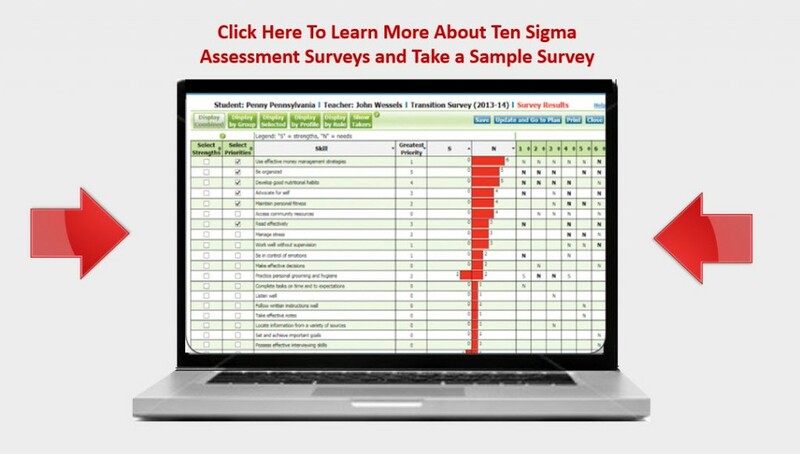 Ten Sigma offers comprehensive Transition assessment surveys for four disability areas including Mild Disabilities, Moderate Disabilities, Severe Disabilities, and Autism Spectrum Disabilities – which are easy to use and are high quality Transition resources.